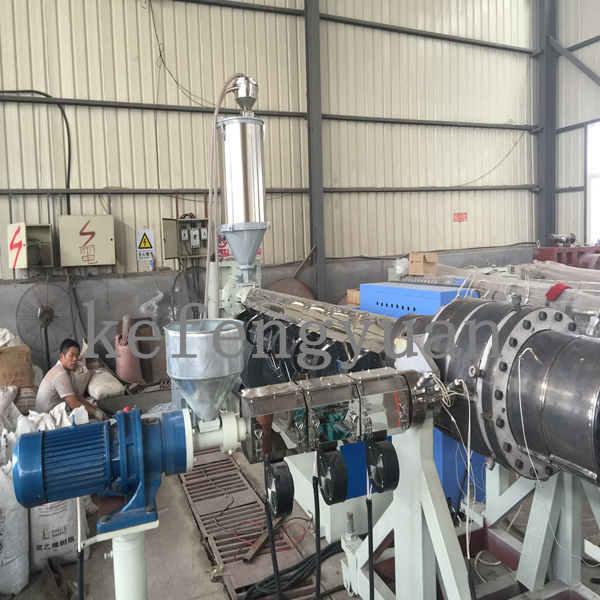 This HDPE water sewage pipe machine is mainly used for producing large diameter HDPE/MDPE pipe. 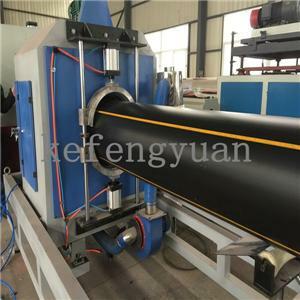 The pipe has some excellent features such as heating resistant, aging resistant, high mechanical strength, environmental stress cracks resistant, good creep resistant, etc. 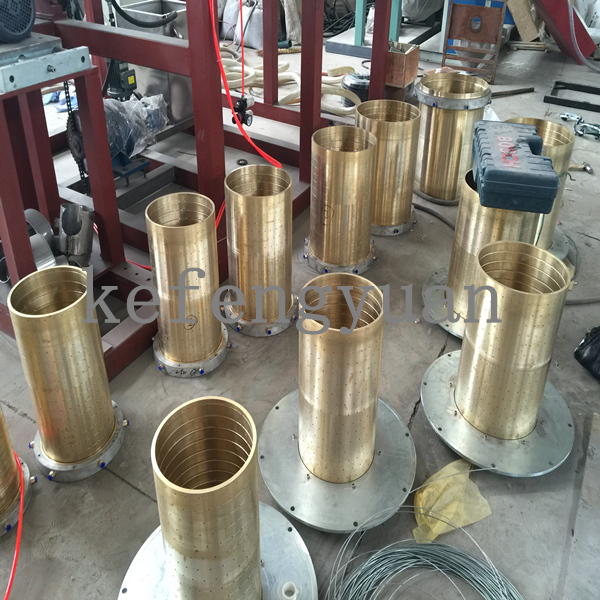 It is a preferred gas conduit for ductwork systems between city and its suburb, water supply in city. 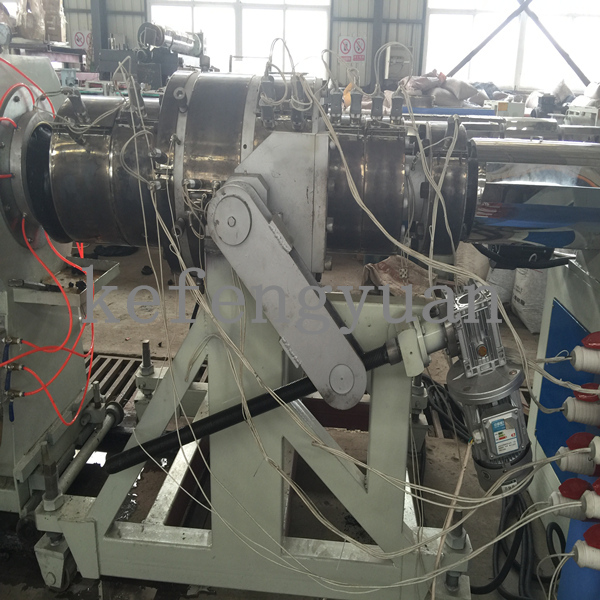 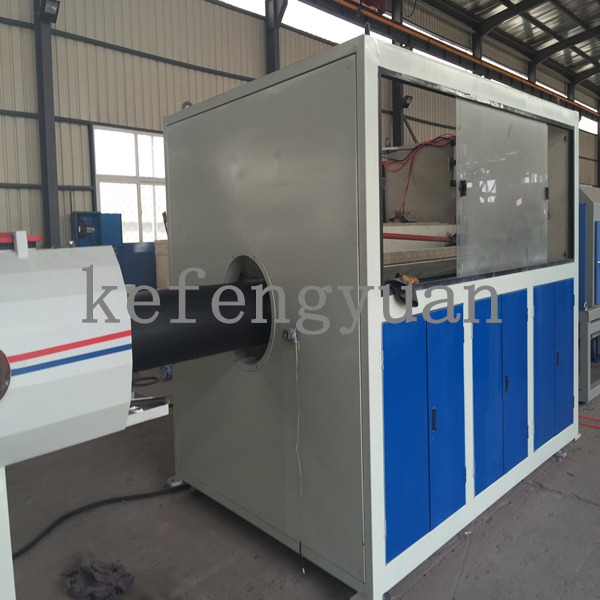 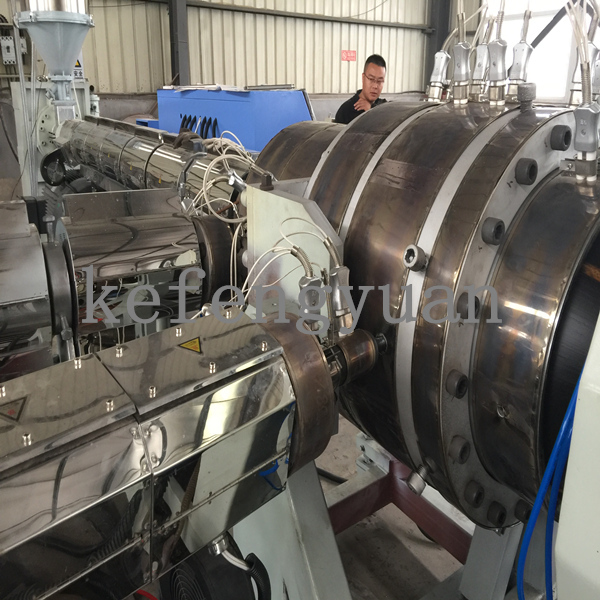 High efficiency extruder is designed for HDPE pipe, equipped with reducer which is high speed and low noise, feeding section with cooling unit and reversing spiral groove, different pitch undulant screw which allows great output, lower melting temperature, and lower energy consumption. 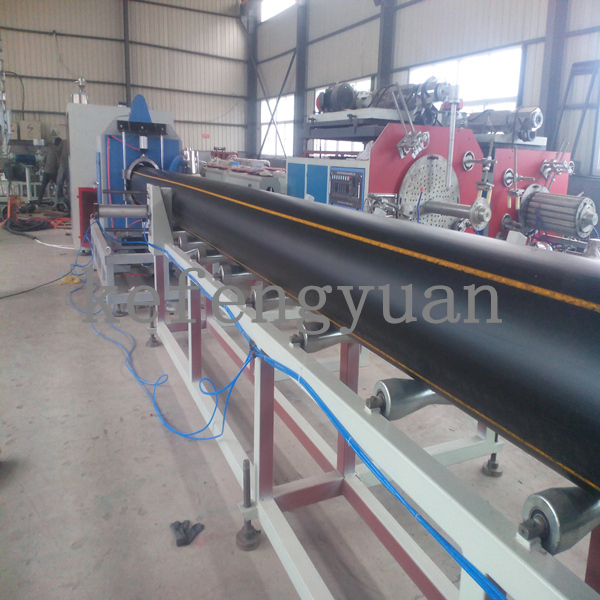 This Water sewage pipe machine can laso produce ABA/AB/ABC multi layers pipe. 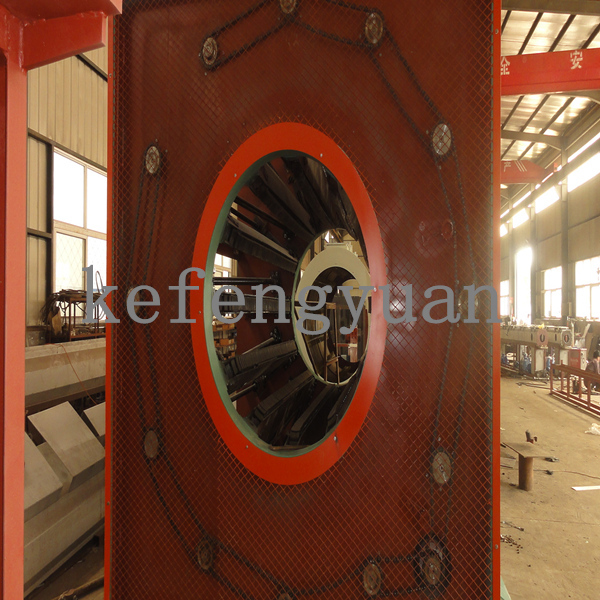 We accept special design according to your pipe diameter requirement. 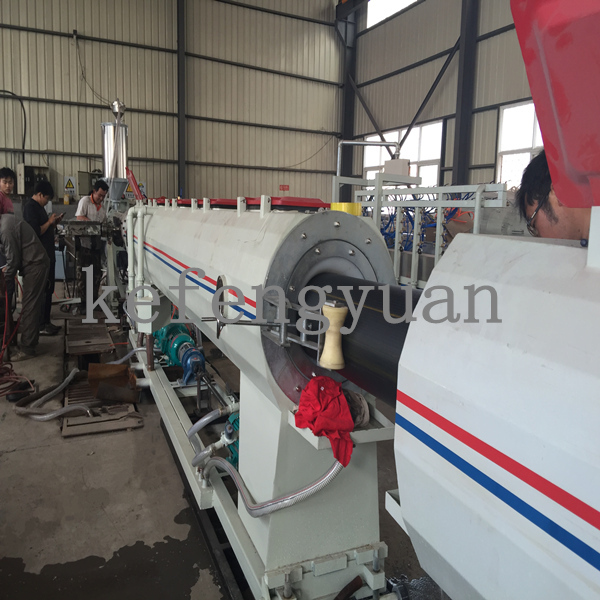 Calibrator: Anti-corrosion with long lifetime; Water recycled inside to cooling well.